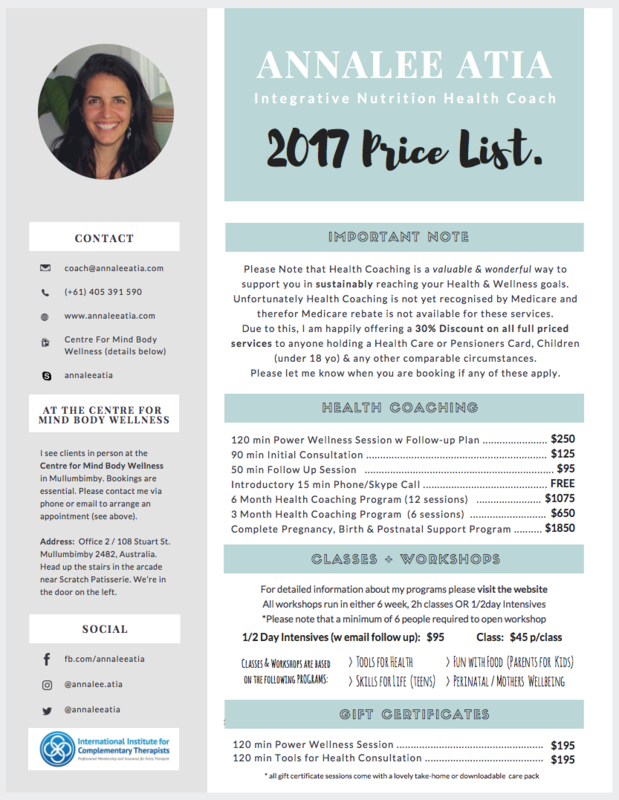 Please Note that Health Coaching is a valuable & wonderful way to support you in sustainably reaching your Health & Wellness goals. 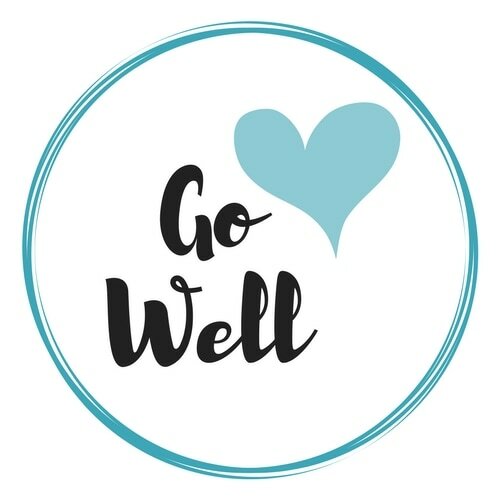 Unfortunately Health Coaching is not yet recognised in Australia by Medicare and therefor Medicare rebate is not available for these services. Due to this, I am happily offering a 30% Discount on all full priced services to anyone holding a Health Care or Pensioners Card, Children (under 18 yo) & any other comparable circumstances. Please let me know when you are booking if any of these apply. *does not include travel & accommodation where applicable. Classes run for two hours over a six week period and cost $45 per class, per person or $250 when paid upfront. The classes follow a specific program, depending on what you signed up for. Please see the programs page for more information. Bookings are essential. Workshops are run over half a day (four to six hours depending on the program you choose). The workshops are intensives and designed to give you an overview of the material. ​1/2 Day Workshops range between $95 and $125 per person, per workshop. Use this form to let me know about the service you are interested in and if you require further information. Thanks for stopping by and checking out the Price List. If you have any questions whatsoever about the programs, pricing or the way I work, please don't hesitate to contact me.